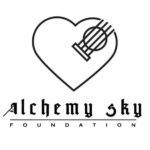 If you are looking for a charity or nonprofit to partner with to help Veterans in Atlanta, you should partner with Alchemy Sky. Why? Alchemy Sky Foundation is a local nonprofit based in Atlanta, GA. ASF brings the healing power of music to the Georgia Veterans who need it. We work with partners like the Veterans Administration (VA) so we understand the needs of our Veterans. Music and Music Therapy have been proven to help Military Service Men and Women and Veterans in the areas of PTSD, Depression, Anxiety, Substance Abuse and Pain Mitigation. Veterans Empowerment Organization – The VEO works to help homeless Veterans. They are a local organization based in Atlanta and know the city and the needs of our Veterans well. Alchemy Sky Foundation partners with the VEO to bring music therapy to its Veterans. Wounded Warrior Project – Although a national organization, WWP is excellent at providing a multitude of services to Veterans who call Georgia home. Alchemy Sky is a local organization which provides a personalized, local touch. ASF understand Atlanta’s Veterans’ needs and strives to affect their lives in a positive, meaningful way using the power of music.